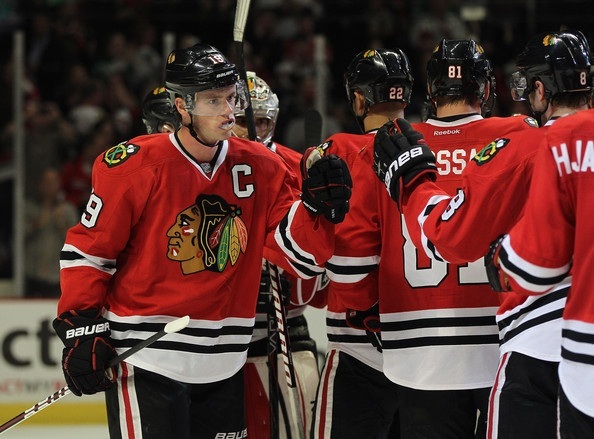 On Thursday, Blackhawks forwards Jonathan Toews, Patrick Kane and Marian Hossa were named to the 2012 NHL All-Star Game in Ottawa. Hossa enters Thursday seventh in the NHL with 45 points (17 goals, 28 assists) in 42 games. Toews is tied for fourth in the league with 22 goals, and also has 20 assists and a league-leading 61.5 faceoff win percentage. Kane is tied with Hossa for 14th in the NHL with 28 assists, and has scored 10 goals as well. Here is the full roster. BTW…for what it is worth, glad to see Keith wasn’t selected as he hasn’t been anywhere close to an all star, but in think Seabrook has…Brent should have gotten selected! Kane is Top Ten in NHL in commercials..
What does Kane do for a living? And when? 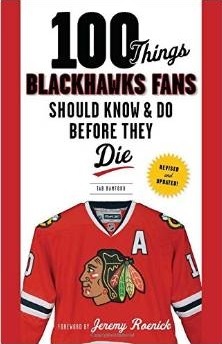 For the Blachawks, it was their first game of the rest of the next month without Patrick Sharp. Who would score those goals? You looked at the obvious candidates, and a winger on the top line immediately made some noise. The speedy winger scored the tie-breaking goal late in the second period against dog-breath Columbus on Tuesday night, scored the eventual winner in the third and capped the evening with a hat trick on an empty netter in the 5-2 win. Big-time stuff. Important stuff. Goals Nos. 10, 11 and 12. Good show, Viktor Stalberg, also known as Viktor More Goals Than Patrick Kane. At least one winger on the Jonathan Toews line knew the deal. While he did have an assist on Stalberg’s first goal, Kane seems useless these days. He started the season as the surprise center and fared pretty well until he was taken out of a lot of road games when the Hawks didn’t have the last change. So, Kane went back to wing. Not much hapopened. Not much good, I mean. Then coach Joel Quenneville moved him back to center, but that wasn’t as much of a great option as it was a message to general manager Stan Bowman to trade for a No. 2 center. Great, huh? One of the Hawks’ best players — or a player who’s supposed to be one of their best — is being used to send messages when he ought to be scoring goals. Kane finally reached double figures last week. His 10 goals for the season rank outside the top 100 in the league. Excuse me, but is he getting paid like, I don’t know, the 109th-best player in the NHL? I’ll hang up and listen for the cursing. Kane hasn’t scored a goal in his last three games, has one goal in his last 10, two in his last 15, and three in his last 24, one of which came on the power play. He has 13 assists in that time and is a minus-7. Kid forward Jimmy Hayes has more goals than Kane in the last three weeks, and Hayes hasn’t even been here that long. This sounds like a rant leading to a demand that the Hawks trade Kane. But no, that is not what this is leading to. That’s not the point. The point is that Kane either show up or be sat down. Kane absolutely must make a difference. He has to scare teams. Too often, he looks like a peewee out there. Too often, he’s just not dangerous. This is on Kane. This also is on Quenneville to use ice time as a hammer to, well, hammer home the point that you play because your production, not your salary, demands it. Because here’s the thing: While Kane has reached 30 goals only once and never really has scored as big as his image or salary would lead you to believe, he scores big goals. When the Hawks won the Stanley Cup, Kane scored the two biggest goals of the postseason — the short-hander against Nashville and, of course, the overtime goal in Philadelphia that won the whole thing. The spring before, when the Hawks reached the Western Conference finals, Kane sent home those whiny, little snots from Vancouver with a hat trick. He’s that kind of goal-scorer. I respect that, especially in the postseason, when big goals become exponential. But if Kane is going to stink in a regular season when the Hawks are missing their second-best scorer for maybe a month in an asphyxiatingly tight playoff race, there might not be a postseason for him to hog the spotlight. Sharp would have been a shoe-in if he hadn’t been injured. Too bad, I would have loved to see him win the All-Star MVP again! I know I’m going to get alot of critisim for this but…. I think Keith should have been selected. While I agree he is no where is good as 2010 he is 17th in defensemen scoring, among the leaders in ice time, and has one of the +/-s among defensemen. While he is not at the form we are used to seeing because of 2010 I still think some lesser got in ahead of him. Byfuglien got in and his stats are bad compared to last year. I agree that Kane shouldn’t have been an all-star. Glad for Hoss and Tazer and a shout-out to Campbell!